While working prolifically with the Dizzy Gillespie band in the sixties, James Moody kept recording as a leader as well. His string of Argo albums are in line with the Chicago label’s policy of releasing attractive, blues-based jazz but, like Another Bag, have a lot more to offer. 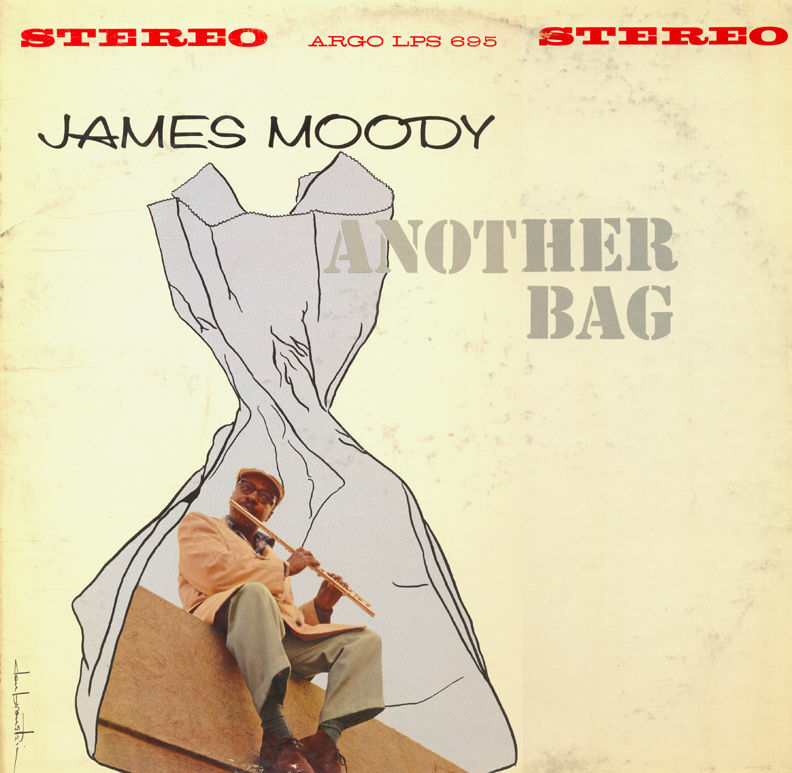 Moody is best known for his long associations with Dizzy Gillespie in the sixties and eighties, that’s probably why his solo work is sometimes taken for granted. But Moody had worked with the bop pioneers Gillespie and Max Roach as early as the late forties and early fifties, scored an unusual hit with 1952’s Moody’s Mood For Love and, besides being a smokin’, articulate tenorist and altoist that inspired John Coltrane, was one of the major flutists in jazz history. Another familiar composition from Moody is Last Train From Overbrook, which instantly became a standard, from the Argo album of the same name from 1958. There are no future evergreens on Another Bag. It is, however, filled with varied repertoire which is presented with gusto and intelligence. Sassy Lady is a delicious, mid-tempo blues, driven by the smooth and hot drum rolls of Marshall Thompson. The three-horn line-up injects it with an alluring bar room feeling, contrasted effectively by Moody’s staccato tenor runs. Moody’s tenor is strongly featured in Ally as well. It’s a swingin’ affair bookended by classical themes in which Moody’s contemporary sound and style also suggest the influence of Lester Young and Wardell Gray. The seemingly effortless group interplay of Playel d’Jaime is reminiscent of the iconic 1956 Miles Davis group that recorded the Workin’-series on Prestige. The depth and harmonic finesse of Moody’s tenor work is considerable. Minuet In D employs a tacky waltz drum figure set against a walkin’ bass, a lithe, suspenceful bounce that triggers spirited solo’s from Moody and the young Kenny Barron. Trombonist Tom McIntosh arranged many of Moody’s tunes during the late fifties and early sixties and does a fine job on Another Bag as well. Another Bag suggests that Moody & Co enjoyed themselves very much incorporating intelligent design into a solid hard bop book. As a consequence, the listener is in for a very rewarding listening experience.